Ms Hosch is currently the AFL General Manager of Inclusion and Social Policy. 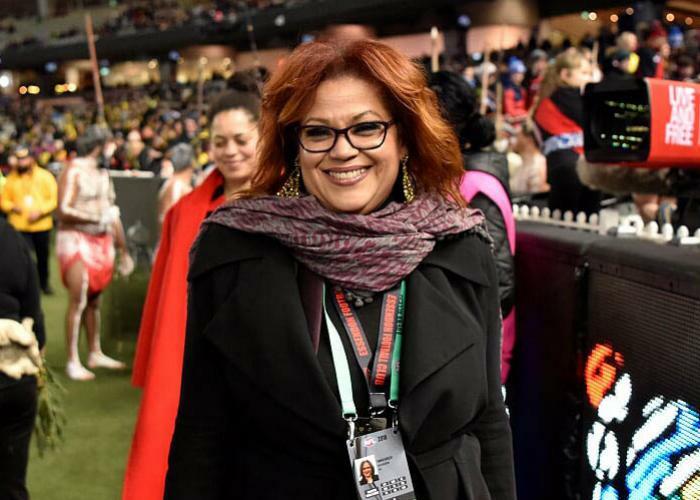 She is also a member of Chief Executive Women and the NAB Indigenous Advisory Group and on the board of Circuz Oz. Ms Hosch has previously served as the Chair of PricewaterhouseCoopers Indigenous Consulting, as a Director of the Indigenous Land Corporation, a Director of the Australian Leadership Centre, a Director of the Australian Centre for Social Innovation, a Director of the Australian Red Cross Society, the Joint Campaign Director for Recognise (a campaign of Reconciliation Australia), a board member of Bangarra Dance Theatre, a Director of the Australian Indigenous Governance Institute, and a member of the Referendum Council. Ms Hosch was a key contributor to the National Congress of Australia’s First Peoples. In 2013, Ms Hosch was named in the South Australian Women’s Honour Roll and in 2012, 2013 and 2015 she was recognised in the Westpac and the Australian Financial Review ‘100 Women of Influence’ Awards. In 2014 she was a nominee in Daily Life’s ‘Women of the Year’ Human Rights category. In 2013 Ms Hosch, along with Jason Glanville, addressed the National Press Club on the topic of constitutional recognition.